Some of these tips might be simple but it’s more common than you might think, for example, for a family to get to the airport and find out one of their passports is out if date. Holiday companies cannot be held responsible for any information that may have changed or be incorrect. It is up to the individual to check there own documentation is all correct. If you have any doubts, contact the relevant authorities or embassies for up to date information. •Make sure what you are booking is what you want. There are nothing worse than booking a hotel then finding out its 3 miles outside where you want to be. •Think about how you are getting to and from the airport in resort. Pre-booking airport transfers on sites like www.quicktransfers.co.uk is often the cheapest way. •Think about if you need to hire a car or not, a lot of resort may have bookable trips to some of the popular tourist attractions though be aware that they might be on specific day of the week especially out of peak seasons. •Check you passenger information is correct. Amending details after booking can be costly so make sure you have and relay names and dates correctly. Check your booking confirmation straight away when you receive it and contact the agent back immediately if there is any discrepancy. •Check www.comparetravelmarket.co.uk for the cheap holiday deals. •Get your insurance sorted straight away. Some insurers will cover you for events that could prevent you from going on holiday. Make sure you get the cover you need e.g. a lot of insurers will not cover you for known medical conditions so a specialist insurers may be needed. Also read about what exactly is covered as some definitions may vary. •Passports and visa’s. First things first check with the relevant embassy’s what the requirements are. For example, having 6 month on your passport from the return date will, in most cases, be acceptable but it is up to the individual to check. •Book your luggage. Though if may seem silly for holiday destinations, most airlines and tour operators now charge you to add on any hold luggage. Make sure you have booked before hand as it will be much more expensive to pay at the airport. Also be sure to book both directions. •Have all your documents ready and printed out the day before. 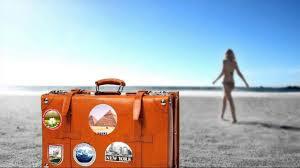 Passports, visa’s accommodation vouchers, transfer vouchers, airline tickets or e-tickets and insurance details. If you can, print off two copies of everything and at the airline one person should hang on to all the tickets and passports. •Leave your contact and hotel details with a family member or neighbour. •Even if you want to pick up your currency up in resort or just pay by card it’s always worth taking some foreign currency to the airport. •In your hand luggage, pack a spare t-shirt and underwear. In the case of a long delay and you can’t get to your hold luggage or you luggage is lost it good to have something to feel fresher than you would by being in the same cloths for 48 hours while you’re waiting. If you do arrive and your luggage doesn’t, talk to the airlines handling agent to make them aware. They will log the incident and should take you details to be contacted. Either stuck to you boarding pass or passport will be a reference number that they should be able to track where your luggage is in the world. •Check in online if you can. There are airlines that charge you if you don’t. If you are worried about luggage there are often luggage drop offs for online checked passengers. •Security requirements at the airport change all the time so check the airports website for up to date details. There is currently a limit for the amount of liquids and gels you can have in your carry-on luggage. Each container may be no larger than 100ml and up to 1 litre in total (10 x 100ml) which must fit into clear plastic bag supplies at security. Have them easily accessible in your bag as you will need to take them out to go through check-in. •Shoes and belts: you may be asked to remove you should at security so chose a pair that can easy be taken off. Belt need to be taken off as a requirement, so, be sure your trousers can hold themselves up without them. •Check for traffic reports before leaving for the airport and leave enough time for a reasonable deal if you life oven an hour away. If you do get stuck in traffic give you tour operator a call, or find out who their handling agent is at the airport and give them a call. They should be able to let the check in staff know they to keep check in open up to 45 minute before the flight time and to keep an eye out for you. •If there is a technical delayed at the airport, remember that aircraft are just vehicles just like your car apart from they do tens of thousands miles each day and your safety comes first. Transfer companies will be aware of delayed time but car hire companies will not so you are best to call and make them aware and arrange alternative collection details if needed. •First and foremost, relax and enjoy yourself. You’ve been looking forward to it. •Check your flight details the day before you return. Though it doesn’t happen often, it has been known for flight time to change and the tour operator may not have been able to contact you, so check the airport for up to date details and while you at it confirm your transfer details with your transfer company. If your flight is delayed you may still need to be checked in at the original time. This entry was posted in Overseas Travel Tips and tagged All inclusive Holidays, Book All inclusive hotels, flights and cheap All inclusive holiday deals to Turkey, Last minute All inclusive holidays, Last minute All inclusive holidays to Turkey, late last minute All inclusive bookings & Turkey All inclusive Holidays. Call us now.. Bookmark the permalink. Follow any comments here with the RSS feed for this post. Both comments and trackbacks are currently closed.